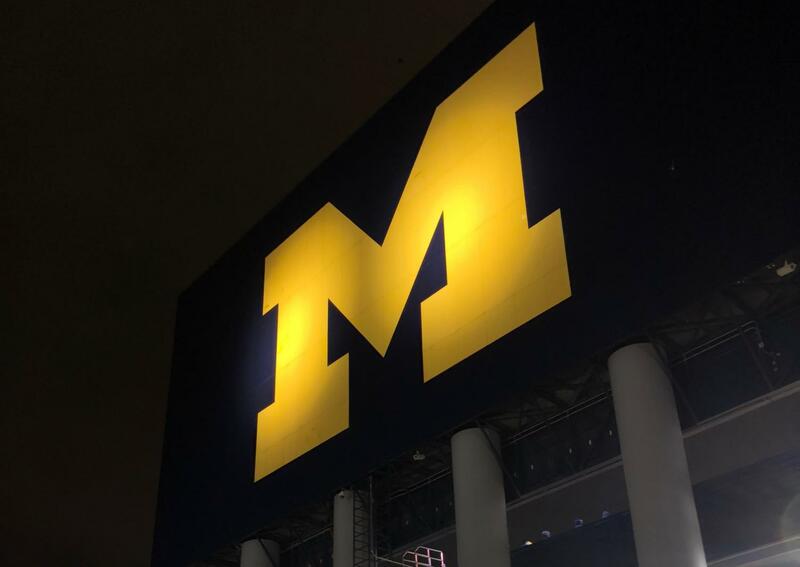 The back of a scoreboard at The Big House at the University of Michigan shines for pedestrians on Main Street in Ann Arbor. In the fall, many seniors applied to various universities all over the country. When many sent in their applications, they knew they had to wait until the spring to get decisions back. Now that time has come around. National College Commitment Day is May 1, but some seniors—like senior Jahow Yu—have known where they are going to school since December because of the Early Decision admissions cycle. Yu went into the college admissions cycle feeling pressured. He knew that his family had invested a lot in his success, but he still was a bit confused by all the jargon. When approaching filling out applications, senior Emily Hart had a different approach than many. Hart only applied to two schools—the University of Michigan and Michigan State University—but knew she wanted to go to Michigan State from the beginning. Both her parents and her sister went to the university. Because of this, her parents gave her a lot of freedom with applications. Senior Kaylin Jung said felt a more intense pressure compared to what Hart felt, with many of her friends applying to many high-caliber schools, but she made sure she ended up applying to the schools she truly liked. “I did feel some pressure to apply to competitive schools, but I applied to schools I could see myself attending,” senior Kaylin Jung said. Jung stresses staying true to yourself and maintaining balance while going through the college admissions process, as she believes the applicants wants and needs should be put first. For another perspective, listen to senior Viji Jambunathan talk about her experience getting a full-ride to Michigan State University, causing her to choose Michigan State over the Ross School of Business at the University of Michigan.